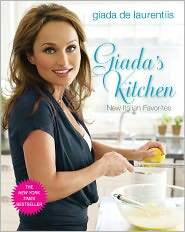 This cookbook has Italian favorite recipes with a new twist on them, more lighter for everyday eating. It is also filled with beautiful pictures of the meals (which I love about this book). I have made a lot from this book that every family member loves.